The number of homeless people living on Los Angeles’s Skid Row is the worst the city has seen since the Great Depression. This year, nearly 2,500 homeless and near-homeless men, women and children were served Thanksgiving lunch on Skid Row and in Pasadena and Canoga Park. 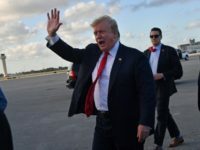 “We haven’t seen numbers like this since the Great Depression,” Georgia Berkovich, the director of The Midnight Mission’s public affairs department, told the Los Angeles Times. 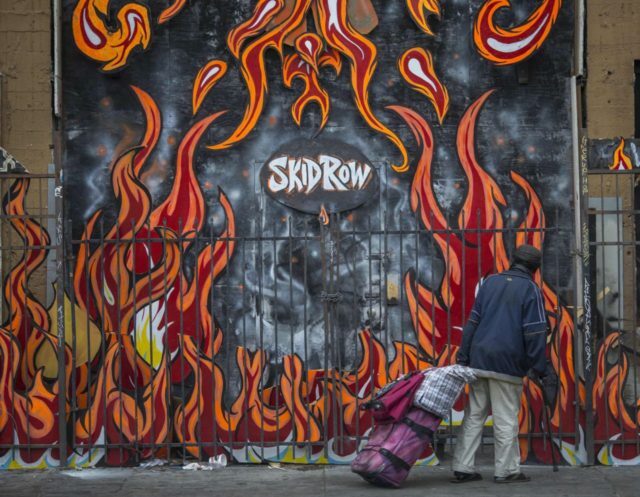 In 2014, Breitbart News went to Skid Row to help deliver Thanksgiving meals to nearly 300 people. The meals were provided by My Friends House Foundation and Fair Game food truck. The Fred Jordan Mission, which is located nearby, reportedly served over a ton of turkey drumsticks, 500 pounds of mashed potatoes, 80 gallons of gravy, 560 pounds of candied yams, 585 pounds of green beans, glazed carrots, and 400 pumpkin pies. The Los Angeles Times also notes that over 2,000 people were served a sit-down meal of turkey with trimmings at the 30th annual Community Thanksgiving Day Dinner for San Fernando Valley homeless and low-income families at the Guadalupe Community Center in Canoga Park. The homeless epidemic that has swept Los Angeles has become so bad that in August, the Los Angeles County Board of Supervisors approved a program to pay homeowners up to $75,000 to house homeless people on their own properties. 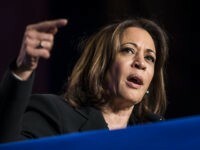 In January, the Times noted that although New York City remains the number one city for homelessness in America, Los Angeles leads the nation in the number of “unsheltered” homeless people. Meanwhile, in Northern California, Oakland Mayor Libby Schaaf called on her constituents to open their doors and residences to the city’s homeless during her annual State of the City address earlier this month. “Give up that Airbnb. Fix up that back unit,” Schaff said according to the San Francisco Chronicle.